Amal Alamuddin was spotted at the Lugano airport in Siwy Hannah ripped jeans. 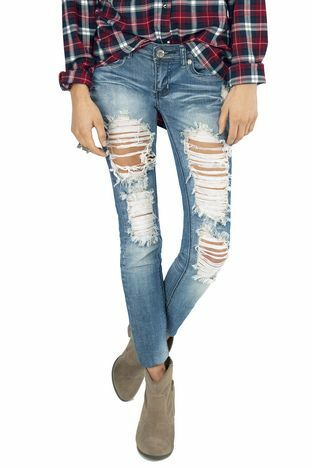 Description : Siwy Hannah Ankle Skinny Jeans Perfectly destroyed, it’s like we’ve worn them for years from the very first time we put them on. Denim ankle pant with 4-pocket styling and single-button closure. Quilting at back pockets and shredded holes at front. Worn spots and heavy distressing throughout. 10″ opening at skinny leg. They are cut in tree different points. I also found a cheaper version from Tobi.